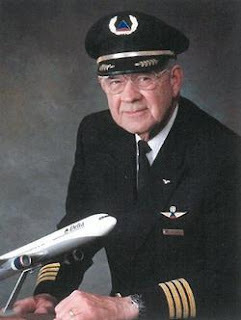 pilot and Delta Golden Wings member Captain L. M. ‘Milt’ McKnight. Born December 26, 1941 Lloyd Milton McKnight was 70 years of age at the time of his passing January 27, 2012. 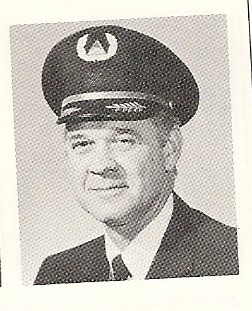 Milt hired on with Delta 03-14-1969 and retired at the mandatory age 60 with 32+ years of service, based ATL Dept. 030. Lloyd Milton McKnight and Louise Jeannette Hackney were married in Florida May 14, 1977. Milt is survived by his wife Lou Jean. I have not been able to find an obituary to date, but I did find this very nice online tribute written by a friend and wanted to share it with you. As you can see by Milt’s updates below, Milt had been fighting the good fight for a very long time. Uncle Milt was, simply, one of the best people I’ve ever known. home that Southern Living should feature when I first met him in 2008.
and he and his wife lived about 15 minutes from the track. of every jet he ever flew. kept a gun within arm’s length. winded racing stories and opinions while Jean made us chili. I imagine they are now. My prayers go out to his wife and family. indicated fractured right wrist and possible torn right rotator cuff. Will see the orthopedic doctor on Wednesday. could not have made it as far as I have. Thanks again for all your prayers, thoughts and well-wishes. Address 100 Bridger Point Rd. partners. My God is a wonderful God and is everlasting. week to start the process of trying to get some of my voice back. Will try and keep you updated. have to work on them. His will and His plan, whatever it may be.